WOW! 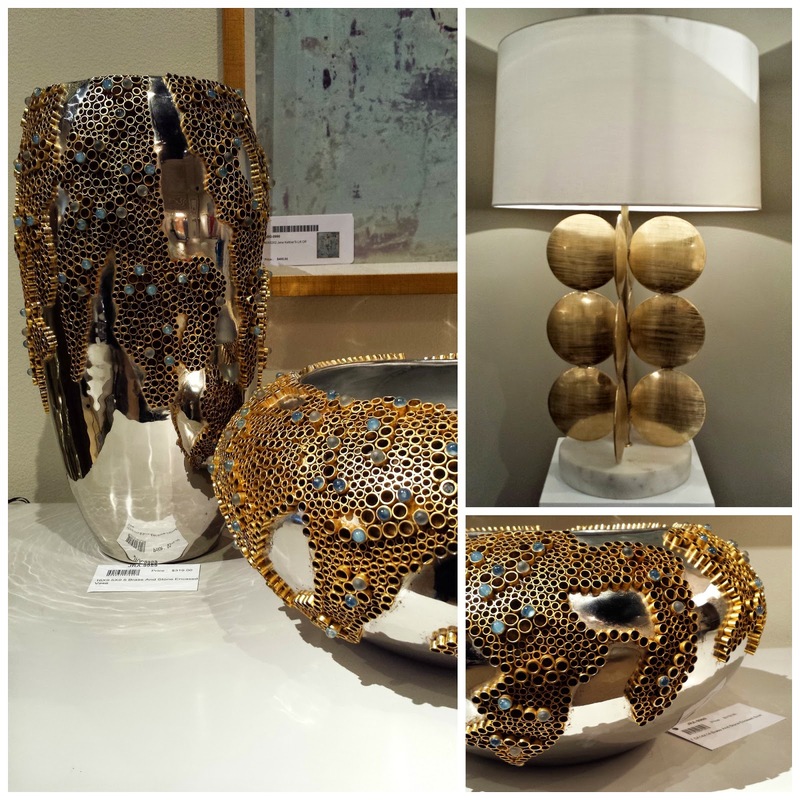 The first five days of taking in all of High Point Market has been quite an experience to say the least!! And while many attendees are on their way back home today, some having left even yesterday, I'll be heading back down to #HPMKT today and tomorrow. But before I head back out, I wanted to share with you the first showroom I toured, starting Friday - The elegant John-Richard Showroom, located at the start of the Hamilton-Wrenn District, on the second level at 200 Steele. 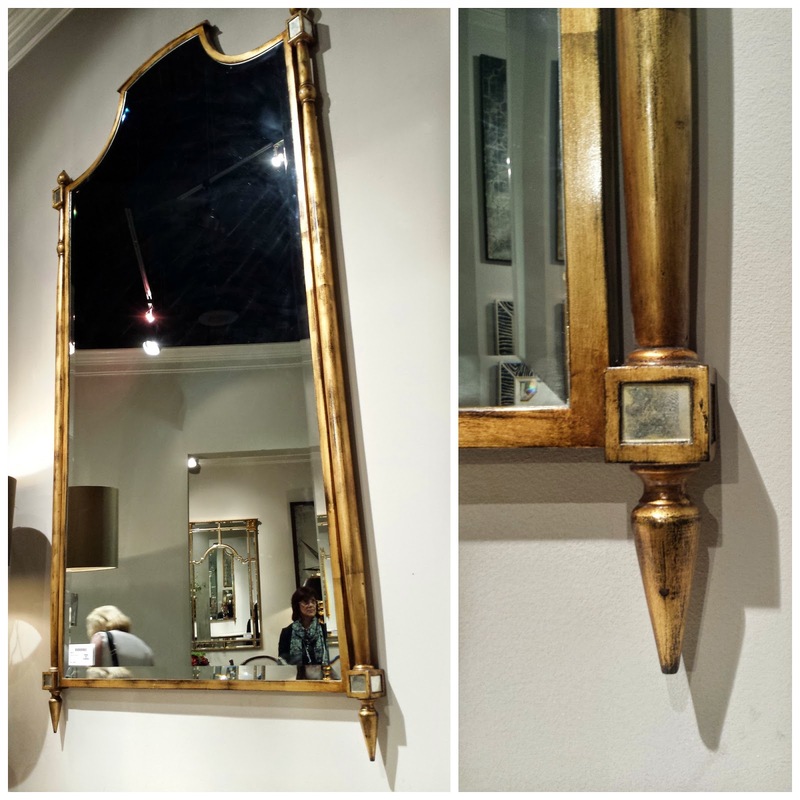 I had first learned of the John-Richard Collection when I wrote about them for Hadley Court for last Fall's #HPMKT (you can view post here), as they too were Leslie's blog sponsor. 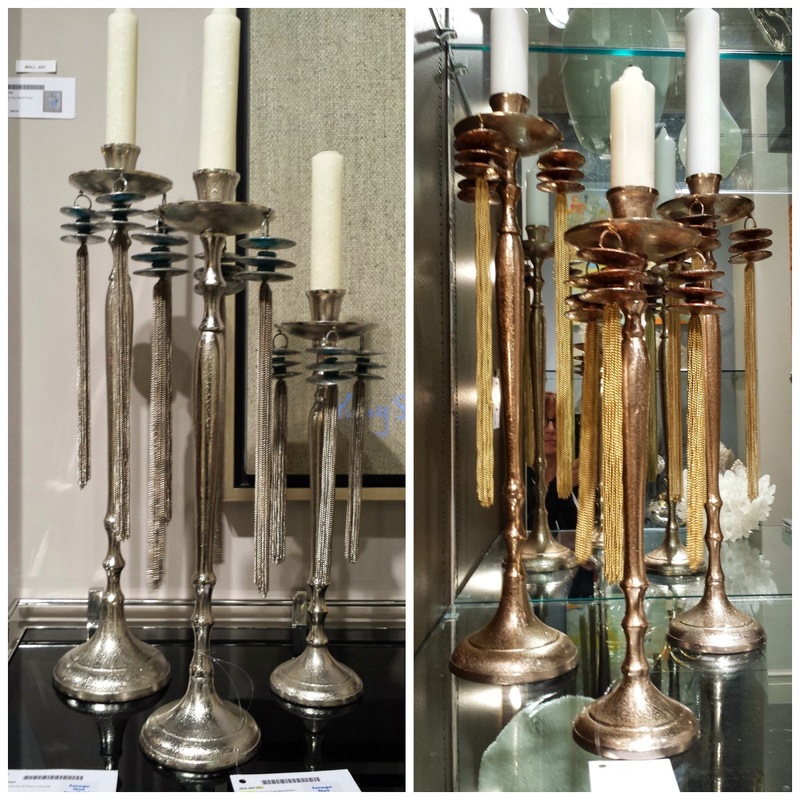 At first I was expecting to see more conservative traditional pieces - but to my surprise, much of their assortment is very transitional, being able to work with or in an environment that is either classic traditional or even mid-century modern. 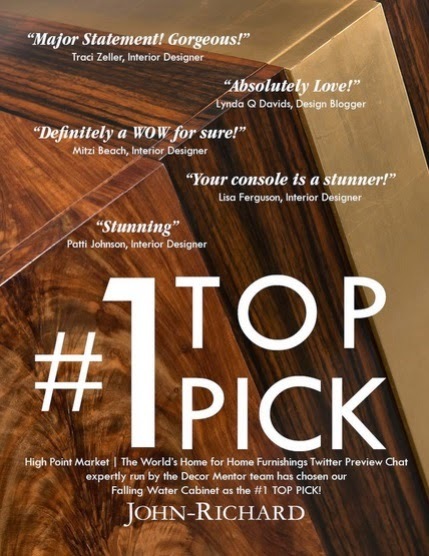 I had shared their image of the Carerra Console via Twitter, Facebook, and Pinterest, which also caught the eye of other furniture lovers, as well as market attendees - including even a Style Spotter! 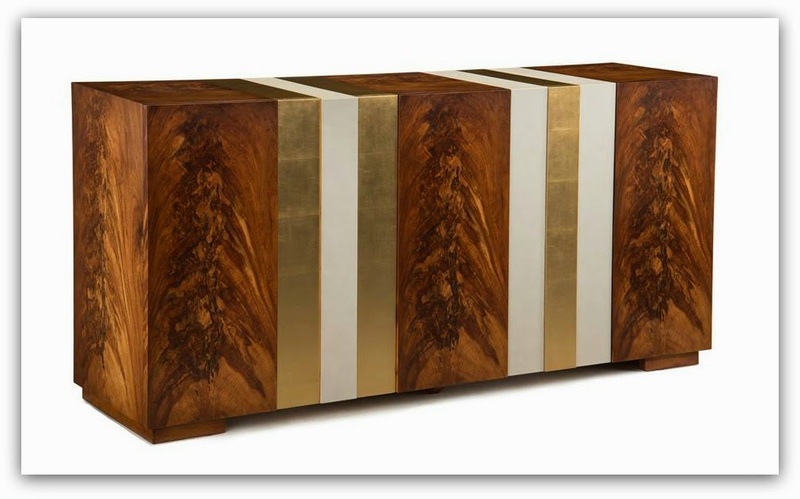 I was surprised to learn, this cabinet finish is actually a photograph of giclee art veneered to a glass front. 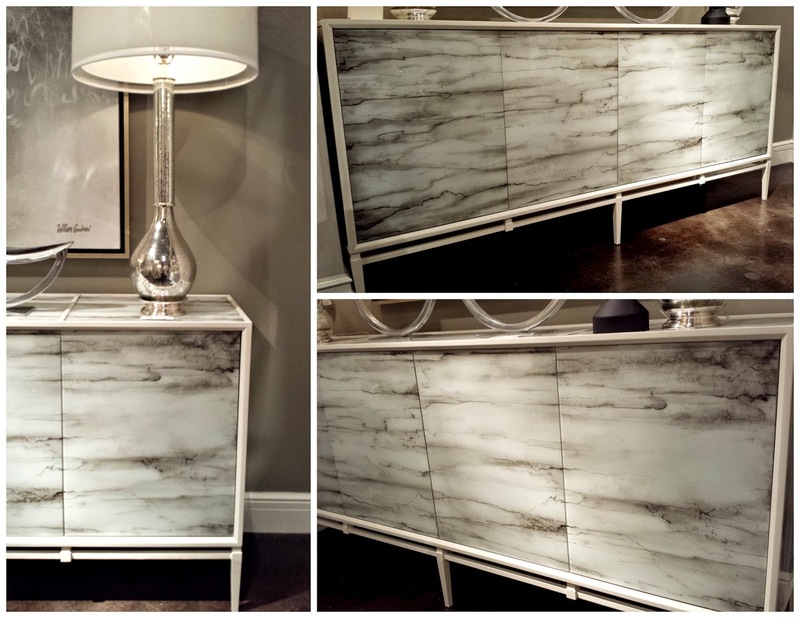 Perfect piece for a contemporary loft or a mid-century style home. Another John-Richard piece I was looking forward to seeing was featured as a "Top-Pick" during the Product Preview Twitter chat last month - and it too did not disappoint! The clean lines of this console, inspired by the iconic architect, Frank Lloyd Wright's 'Falling Water' not only is a statement & storage piece for a home, but it includes attention to detail in its quality craftsmanship including book-match veneers, with bands of brass and leather. 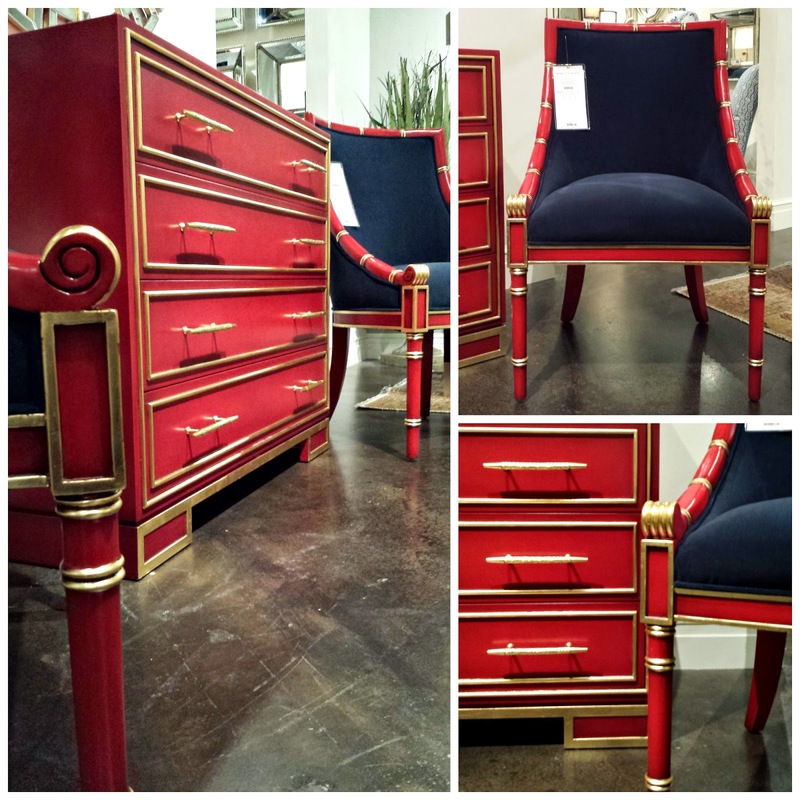 And for me, the shocking show-stopper had to be this sharp chest of drawers in a vibrant red painted finish, with gilded details, paired with their amazing Viceroy chair, upholstered in a rich navy velvet. How stunning would this be in an entryway foyer, featuring a collection of your blue & white porcelain - and a striking blue & white abstract painting? Yes - I love my black and white, but this to me was just spectacular, and unexpected. Loved it! Remember to stay tuned for more from #HPMKT - but for now, I'm heading back to High Point! Be on the look-out for the new John-Richard logo! And thank YOU Focal Point readers for stopping by! 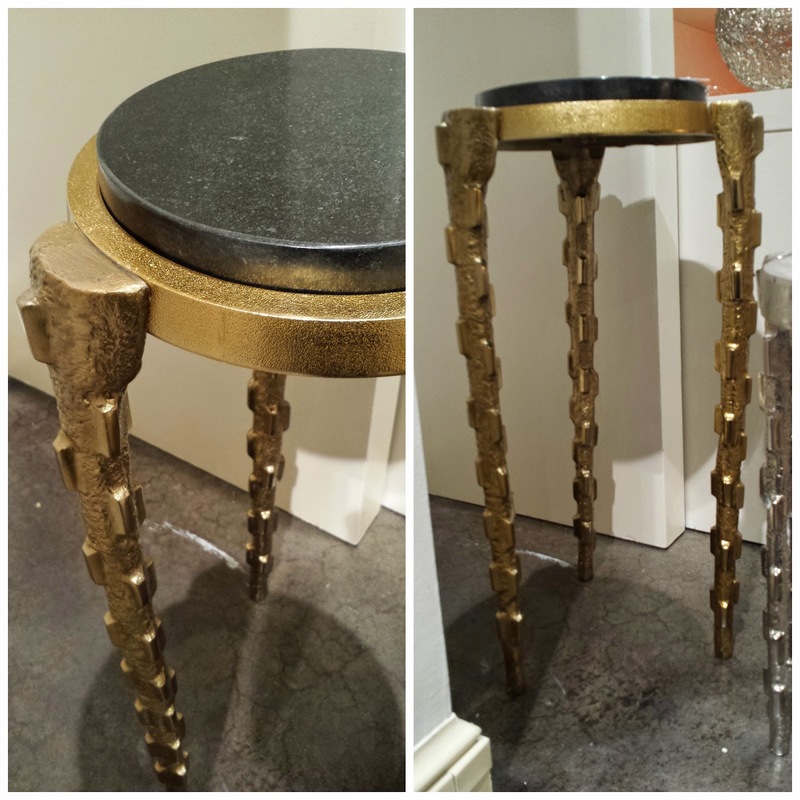 Note: John-Richard was a blog sponsor for me, Lynda Quintero-Davids at High Point Market - #HPMKT Spring 2015. All opinions are my own. All photos, unless otherwise noted, by Lynda Quintero-Davids. 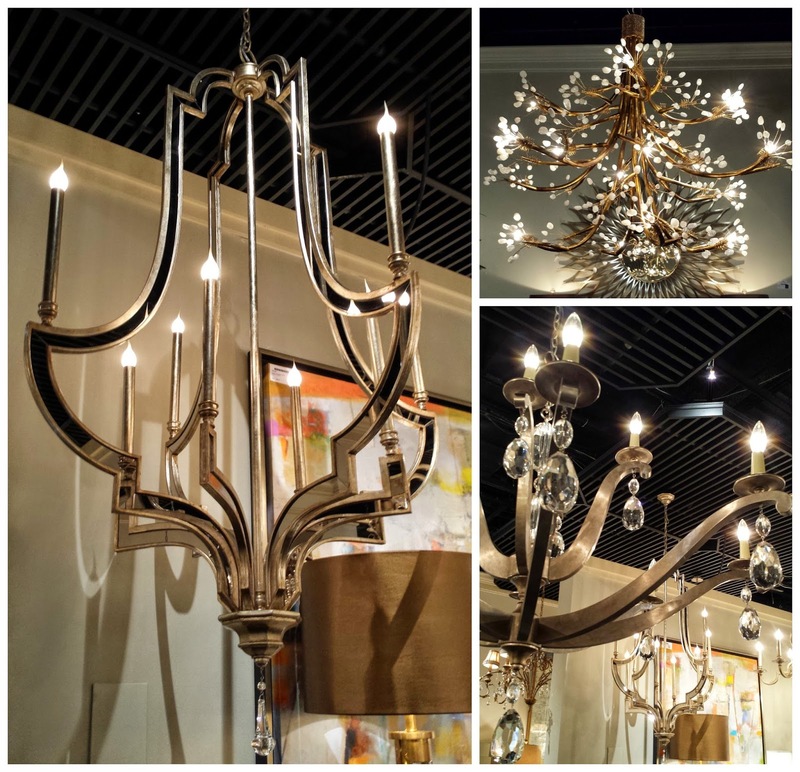 Navigating #HPMKT + Showroom Shout-outs!